Miele stands for durability, reliability, security and peace of mind. Miele is a German manufacturer of high quality domestic appliances and machines for commercial applications. The long life of Miele appliances is legendary—some of their appliances are still going strong after 30 years. Miele strives to fulfill the high requirements of our customers and provide them with appliances of the highest quality and tested durability to make their lives more comfortable. Miele does everything they can to protect and preserve the planet's finite resources for tomorrow. Their appliances are rated as Energy Star® products. Energy Star® was created to help consumers easily identify products, homes, and buildings that save energy and money, and help protect the environment. S7 Series - Make no mistake, if you are simply looking for the best in durability, ergonomics, and the purest form of cleaning power, the S7 line will deliver, and is sure to please. 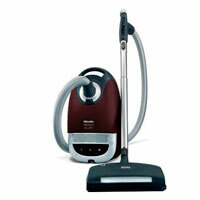 The Miele S7 Bolero S7580 Upright Vacuum Cleaner is packed full of exciting, innovative and practical features. Considered the "high end" unit, and outfitted with addtional features, such as; filter change indicator, thermal shut off indicator, automatic suction control, and electronic controls, versus rotary dial controls. With a unique swivel neck joint and its 360 degree caster wheels allows it to maneuver around the tightest corners. 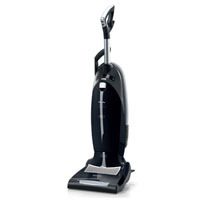 This powerful vacuum has a powerful 1200-watt motor, a large 5.45 Quart capacity dustbag, three onboard accessories and adjustable suction control. The Miele S7 Jazz S7280 upright vacuum cleaner is packed full of exciting, innovative and practical features like the unique swivel neck joint and 360 degree caster wheels to navigate around furniture, a powerful 1,200 watt motor, a large 5.45 Quart capacity dustbag, plus a whole host of more features. The Miele S7 Twist S7210 Upright Vacuum Cleaner with its unique SwivelNneck allows easy navigation around furniture in all directions. 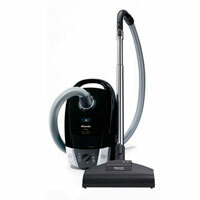 The Twist vacuum‘s majority of weight is carried by the base assembly making it easy to hold and remarkably easy to push. 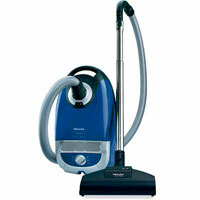 Comes with a powerful 1,200 watt motor, a large 5.45 Quart capacity dustbag, plus a whole host of more features. 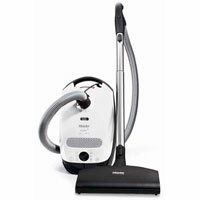 The Miele S7260 Cat & Dog is a brand new upright designed specifically for cleaning up after cats and dogs. As usual, when Miele designed the S7260 Upright for Cats & Dogs, every detail is thought out making this Miele Vacuum a leader for picking up animal hair and dander. They are uniquely designed with special floor brushes for vacuuming difficult pet hair. 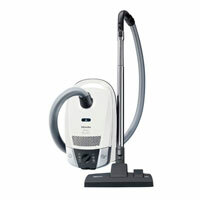 The Miele S7260 comes with an Active Air Clean Filter which contains a charcoal cassette for absorbing strong odors, 101 Handheld Turbo Brush for stairs, furniture, powerful 1,200 watt motor, a large 5.45 Quart capacity dustbag, plus a whole host of more features. S2 Series - Economy, compact lightweight AirClean construction, several brush options, VarioClip Accessories, large 4.76 Quart capacity dust bag. The Miele S2 S2121 Olympus vacuum cleaner is an affordable, lightweight Miele canister vacuum that delivers excellent performance and hygienic filtration with its combination of Super Air Clean filter and AirClean dust bag. Recommended for low pile carpeting and hard floor surfaces. The Miele S2 S2121 Capri vacuum cleaner is an affordable, lightweight Miele canister vacuum that delivers excellent performance and hygienic filtration with its combination of Super Air Clean filter and AirClean dust bag. Recommended for medium pile carpeting and hard floor surfaces. Comes with STB 205-3 Turbobrush and SBB Parquet-3 Floor Brush. The Miele S2 S2121 Delphi vacuum cleaner is an affordable, lightweight vacuum that delivers excellent performance and hygienic . Recommended for high pile carpeting and hard floor surfaces. Comes with SEB 217-3 Powerbrush. Miele S2 S2181 Titan HEPA vacuum cleaner delivers outstanding performance with its combination of powerbrush for carpets and rugs and parquet floor brush for hard floors. The Active HEPA Filter captures 99.99% of allergens and lung-damaging particles while absorbing odors. 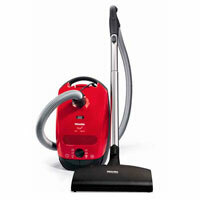 The electric powerbrush is ideal for cleaning cut pile carpets, rugs and pet hair. S5 Series - Sealed system construction, integrated accessories, mostly HEPA standard, many Powerbrush standard or upgradable, many with foot pedal controls. The Miele S5 Pisces S5281 Vacuum Cleaner, includes impressive features such as excellent maneuverability, wide operating radius, and ergonomic handle to make your vacuuming experience comfortable and more enjoyable. Best for low pile carpets, area rugs & all bare floors. Packaged with an air driven power nozzle, which requires air flow to perform. Thick carpets restrict too much air flow for this nozzle. The Miele Libra HEPA vacuum cleaner features a lightweight 10 1/2"-wide electric powerbrush especially well-suited for cleaning area rugs, medium pile carpet, wool carpet and homes with moderate amounts of pet hair. Recommended for high pile carpeting and hard floor surfaces. 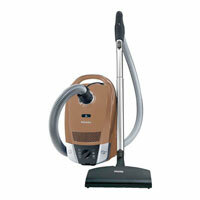 Comes with SEB 217 Powerbrush and SBB 300-3 Parquet Brush. 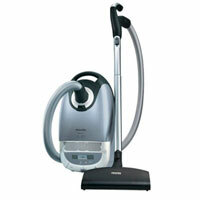 The Miele Callisto vacuum is considered one of the best values in the S5 Galaxy Series Vacuums. A sleek, modern deep black case with free-wheeling casters and with a powerful, yet quiet mid-range Miele vacuum cleaners that handles medium to high pile carpeting and smooth floors with ease. This canister vac makes cleaning your home a breeze, with superior HEPA filtration, a wrap–around bumper for furniture and molding protection, and a rotary dial adjustment to handle a variety of floor types, upholstery and fabrics. 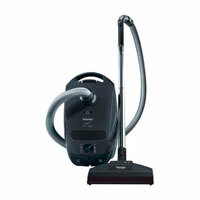 Comes with SEB 228 Powerbrush and SBB 300-3 Parquet Brush. 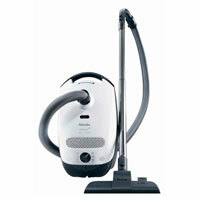 The Eco-friendly Miele Earth S5 canister vacuum helps to conserve energy without loss of performance. This vacuum‘s power management with automatic power settings that intelligently detect the optimal settings for your use and floor type. Users will find the Earth provides excellent cleaning on medium to high pile carpets, tile, wood, and all hard floor surfaces. Comes with SEB 217-3 Powerbrush and SBB 300-3 Parquet Brush. 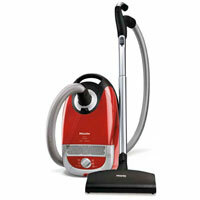 Miele S5 Capricorn S5981 Vacuum Cleaner is instantly identifiable by its unique design and stylish character. Adaptable to any combination of flooring in your home. Two power nozzles to choose from for low & medium to high pile carpets. The Capricorn vacuum is designed to be durable and provide years of pure cleaning power that exceeds expectations. The Miele S6270 Onyx canister vacuum is a beautifully designed vacuum cleaning appliance designed to be versatile and customizable to become the most flexible cleaning appliance for your entire home. Includes the 6–position power control setting, allowing you to set the ideal power and suction amount with the rotary dial on the body of the canister. Recommended for all smooth flooring and low–pile carpeting. The Miele S6 Topaz canister vacuum cleaner is a brilliantly refined addition to the already stunning line of Miele canister vacuums, all designed with flexibility and variation options, making it the most versatile and beautiful cleaning appliance for your entire home. The Miele S6 Topaz utilizes the lightweight skeleton construction found in all S6 canister vacuums, leaving the total vacuum weight at 10 pounds, while it can withstand up to 220 pounds of pressure. 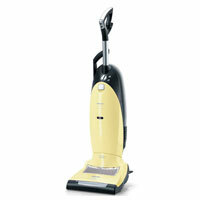 The Topaz features a long electrical cord providing 33ft cleaning radius and an automatic, one-touch cable rewind system. The new Miele S6270 Quartz canister vacuum is a brilliantly refined vacuuming appliance designed with flexibility and customization options allowing it to be the most versatile cleaning appliance for your entire home. The Miele S6 Quartz utilizes a lightweight skeleton construction design which leaves the entire vacuum weighing only 10 pounds, while being able to withstand up to 220 pounds of pressure. The Miele SBD 285-3 combination floor tool is also included with the machine is ideal for vacuuming smooth flooring and low-pile carpeting. The Miele S6 Red Velvet is actually covered with a red velvet finish, making it the world‘s first vacuum with a velvet finish. The S6 Red Velvet is a machine that you will have pride in displaying and using throughout your home. The Miele S6 Red Velvet comes with a durable, 70 inch, non-electric hose which is composed of poly foam and virtually crush proof. The standard floor tool included with the S6 Red Velvet is the SBD285-3 Classic Combination tool for carpet and smooth floors. This tool is ideal for all smooth flooring and low-pile carpeting. 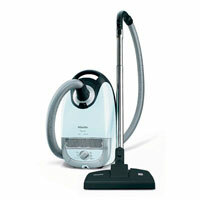 Seagull Distribution is an authorized Miele Vacuum Dealer of San Diego. 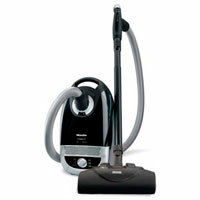 We offer affordable financing and a 90 day guarantee on our Miele vacuum prices.